I ran a Beach Boys workshop a while back and a woman came up to me at the end to thank me. She said that she hadn’t sung since she was at school about 30 years before and had really missed it. I asked her why she had decided to start again now? Why had she left it so long? Why had she chosen this particular opportunity on this particular day? She couldn’t really give me a clear answer. This set me to wondering: if someone loves to sing so much, why don’t they join a choir or come to one of the many singing workshops that are available? More generally, how come there are loads of things that we love to do, that make us feel good, and yet we constantly put off doing them??!! I used to love jogging and would go out every evening for at least half an hour come rain or shine. I absolutely loved being outside and giving the lungs a good work-out. I always felt great when I got back thanks to those good old endorphins. Yet when it came time to go running, actually going upstairs to change into my running gear felt like a huge pain. I was too tired, I couldn’t be bothered, it was cold outside, I’d only just got home, there was something good on TV … there were always plenty of excuses. It took an enormous amount of will power to walk up those stairs and change into my running shorts. I left the house reluctantly and with a heavy heart, yet within minutes I was grinning like a Cheshire cat and really, really having fun. There are so many activities like this that we know we enjoy and make us feel good: meditating, going for a walk, doing some gardening, clearing our room up, cooking a great meal, exercising, phoning an old friend, … and yet we put them off and put them off even though we know they will make us feel good afterwards. These are not the kind of things that we know we ought to do because they are supposed to be good for us: diet, stop smoking, go to the gym, etc. With those activities we don’t usually get a buzz of pleasure, just a sense of smug satisfaction that we’ve done a chore. No, the kinds of activities I’m talking about are those that we’ve done many times before and are guaranteed to give us pleasure and make us feel better. If you’ve read this far, perhaps you’re now expecting the pay-off: an answer to why we avoid these things. But I’m afraid I simply don’t know! I do it myself, and everyone I know does it. It continues to baffle me. I’ve had people in my choirs who say that singing is their first and only love, that they would be lost without it, that it’s a life saver, and yet after a few sessions they leave and never come back! I’ve had people desperately begging me to jump to the front of the choir waiting list because they absolutely need to join right now because they love singing so much and would be lost without it. When a vacancy arises I invite them to join, but they never turn up! Of course, there may be other, personal reasons why these people behave like they do, but it does seem strange. I’d be fascinated to hear from any of you out there who might have any kind of insight into why people avoid things that they know make them feel good. 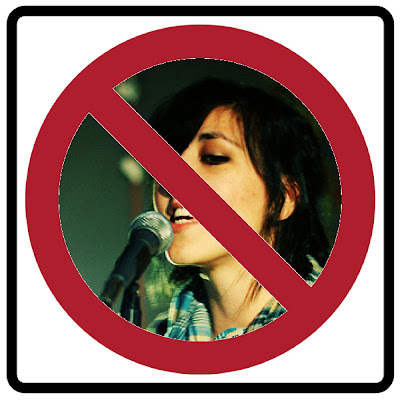 In next week’s post I’ll be looking at several very specific reasons why people might not join a choir or go to a singing workshop even though they love to sing with others.